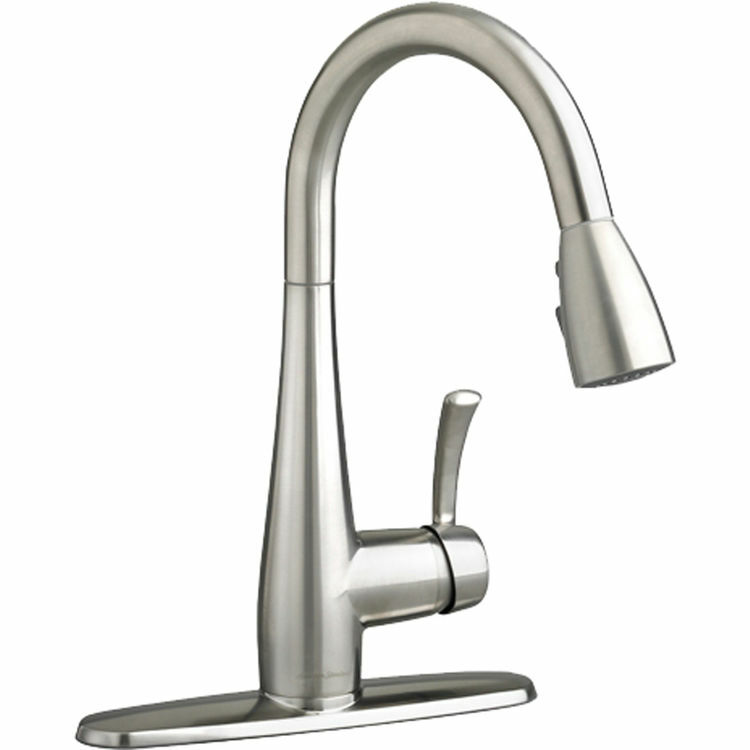 This American Standard 4433.300.075 Quince High-Arc Pull-Down Kitchen Faucet is part of the Quince collection, and comes in a beautiful Stainless Steel finish. This high-arc pull-down faucet features a swivel spout, an adjustable pull-out spray, a supplied yet optional escutcheon, braided flexible supply hoses with 3/8" compression connectors, a memory positioning valve, a lead-free design, and integral check valves to prevent backflow. Shipping Dimensions 19.1" x 13.2" x 3.4"